Here's a fairly straightforwards tutorial on making custom barbed wire at tabletop miniature scale - many thanks to the Hobbyhawk site for original reference ideas, but I've adjusted the scaling and polished the process a bit, so I'm writing up my own step-by-step following making custom barbed wire for my Word Bearers Dark Apostle figure. Wire - the narrower the gauge, the better. 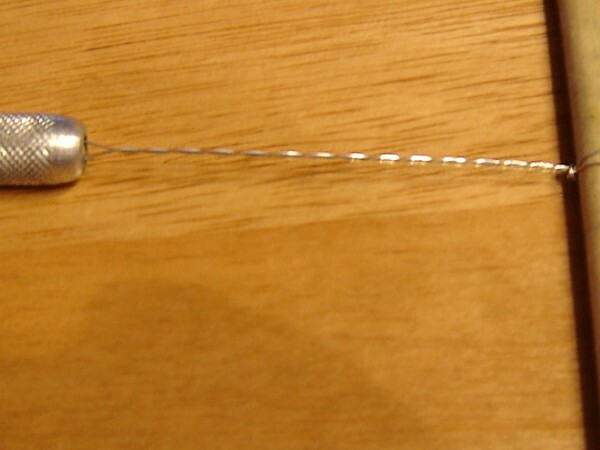 In this example I believe it was 28 gauge silver beading wire, but fine wire is available anywhere between 22 and 34 gauge commonly. A narrow pair of wire snips - you don't want the cutting end to be too wide or thick, as you'll be potentially be cutting in a limited space between loops of wire. 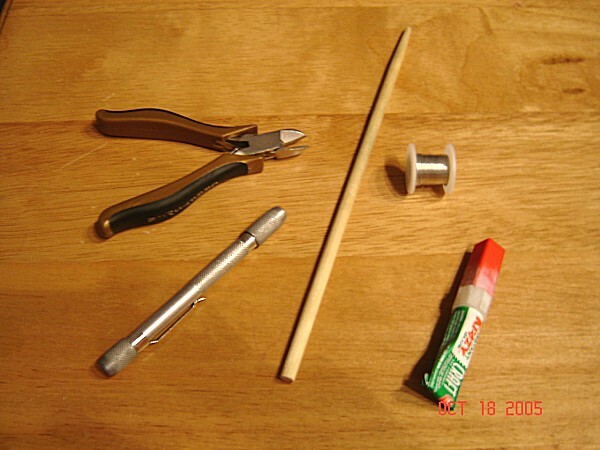 Some sort of "rod" to use as a brace while twisting the wire - I used a wooden dowel, but a toothpick or similar could likely be gotten away with. A thin glue, capable of flowing into narrow gaps. I used cyanoacrylate Krazy Glue, but thinned Elmer's/Wood Glue would likely work. A pin vise/manual precision drill - you could likely use a pair of vice grips or pliers, but by using a pin vise you can keep it centered while twisting the wire. (Optional, but very useful) A ruler/tape measure with 16th" or millimeter measurement, by preference. (Optional, but very useful) A small, narrow pair of modeling "pliers"
When finished twisting, take another length of wire and fasten it to the dowel - it doesn't need to be a "sturdy" fastening, but sufficient enough to keep this additional wire from shifting. Begin wrapping the new wire around the twisted length at regular intervals, as demonstrated in the picture. A little bit of planning is required, as there are numerous ways to wrap the new wire - multiple twists, variable gaps between wrappings, multiple wrappings so as to end up with barbs facing different directions, etc. In this example, however, the new wire is wrapped 1 1/2 times so it finishes on the opposite side of the twisted wire from where it started, while looping the new wire so it approaches the twisted wire from alternating sides. Ensure that you are pulling each loop tight before moving on to the next, as any gaps between the wrapped wire and the twisted wire will ruin the effect! 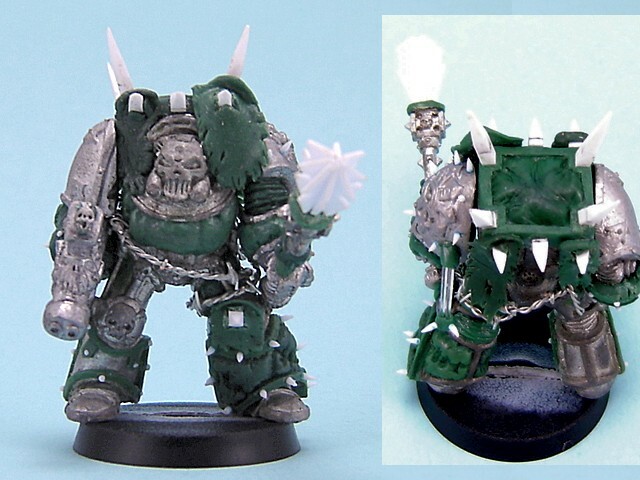 For 28mm scale, I've found a distance of 3/16th" between wraps to be appropriate appearance-wise, and a single wrapping to be sufficient - a ruler or tape measure is very useful to ensure consistency of appearance. The second (but optional) step to this stage is going back over the finished wrappings with a pair of narrow pliers, pinching them together length-wise along the twisted wire and also flattening the wraps slightly against the twisted wire itself - not so hard that you deform them, but sufficient to limit free movement. Even when glued, they are still inclined to "spin" if jostled sufficiently, otherwise. The next (necessary) step would be to apply a dot of free-flowing glue to each wrapping. I would recommend applying the dots of glue to the back/non-facing side of your eventual barbed wire, but this is fairly negligible if the glue being used is able to flow sufficiently into small cracks to "lock" the wrapped wire into place. 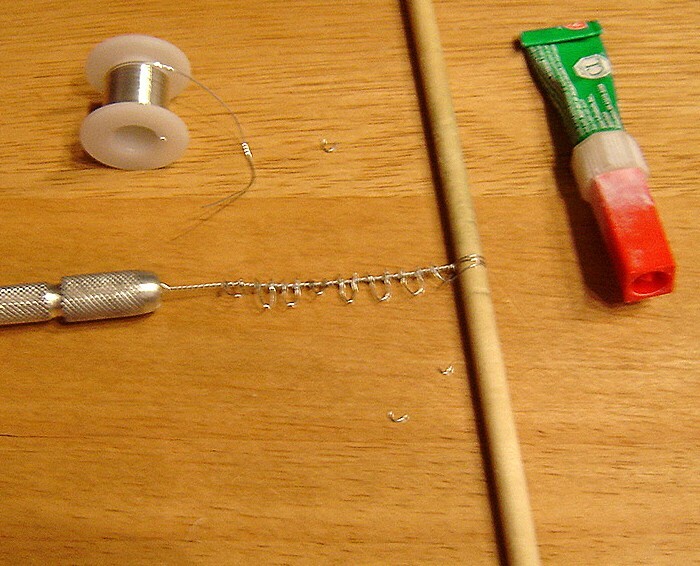 With wire snips, begin trimming the loops off at an appropriate distance from the twisted wire. 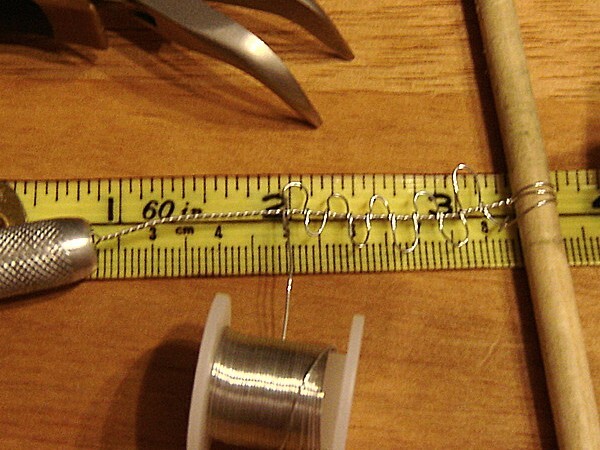 A recommended approach would be to trim off the loops at a reasonable distance from the twisted wire, and then go back and trim them to a scale-appropriate length afterwards. In this example, I trimmed them off at roughly 1/16th", as I've found that if the length of the extended "barbs" exceed the thickness of the twisted wire by too much they don't look natural. The final length of barbed wire - appropriately trimmed and separated from the dowel and the pin vise. It is highly recommended that you position your barbed wire on the intended model or scenery piece before that piece is painted - although possible, I've found it fairly difficult to "apply" the barbed wire after the fact without it getting caught on protrusions and potentially scratching a finished paint job. On the positive side: I guess the barbed wire works properly, even at miniature scale! 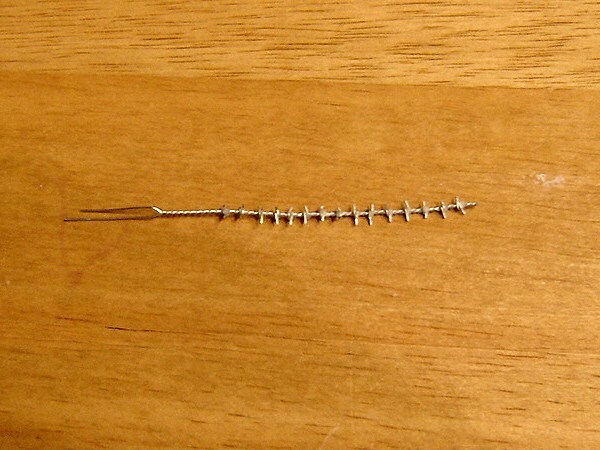 In this example, the "barb" wrappings were spaced a little less than 1/4" apart. In the tutorial pictures, they were spaced 2/16" apart - 3/16" would be an appropriate happy medium and what I would personally suggest for 28mm scale, but again, that's where planning and the scale of the intended placement comes in.